An excellent day with great weather! 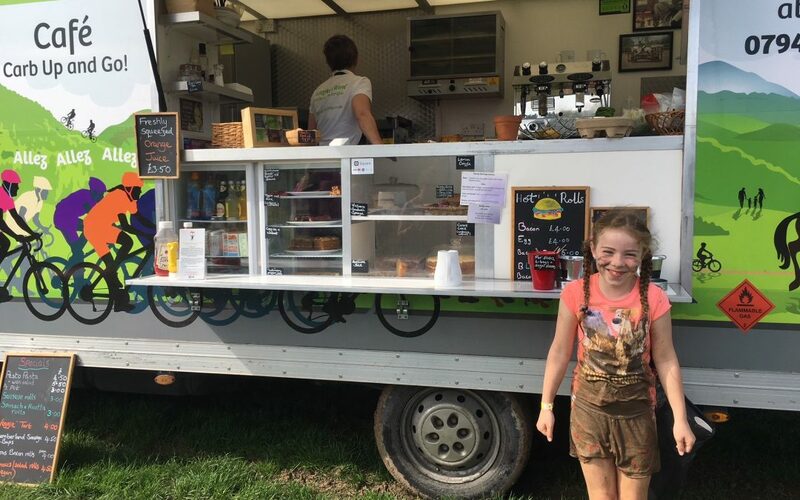 Customers rolled in first thing for a coffee before running the course with their kids. After the run it was time to relax in the sunshine and choose what to eat! There was plenty on offer; sold out of ice-cream tubs/lollies. There was another wave of families in the afternoon with lots of muddy kids at the end of the day. Hot chocolate at this event is always a firm favourite to warm up those wet kids!